The RAM-101U-B 1.5" Ball 3.5" Arm 2x2.5" Round Bases is designed with two adjustable 2.5" round base ball mounts with the AMPS hole pattern. 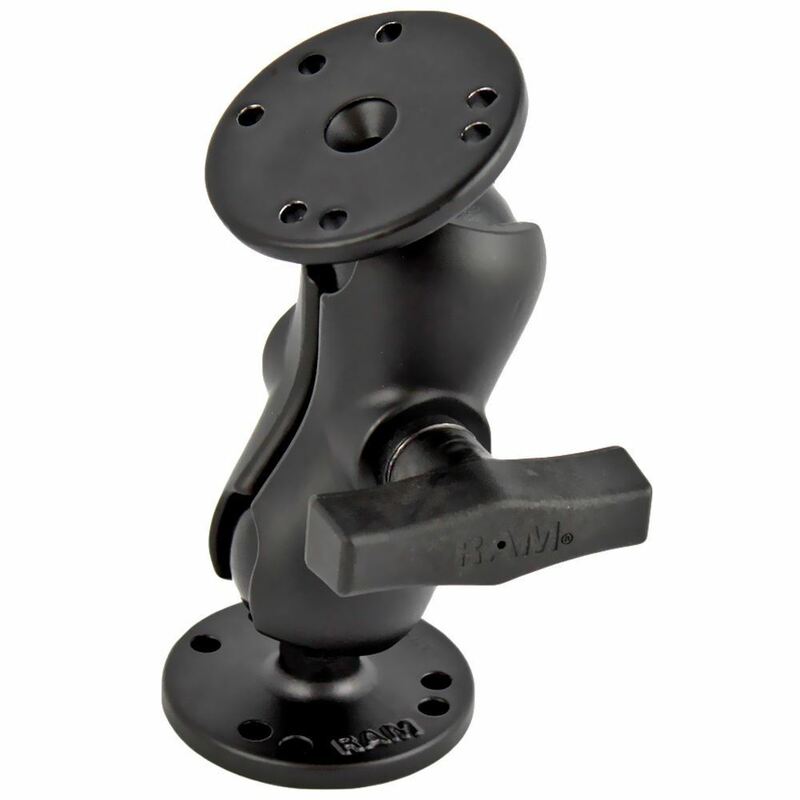 The RAM-101U-B RAM 1.5" Ball, 3.5" Arm, 2x2.5" Round Bases from the RAM Mount Bases range is professionally designed and powder coated with marine grade aluminum. Its pieces include a single 3.5” double socket arm joined with a pair of 2.5” circular bases. It has an overall length of 5.24”, and its rubber ball has a size of 1.5” diameter.